This Keyword Generator walks researchers through the process of brainstorming keywords for their topic that they can use to search library resources. 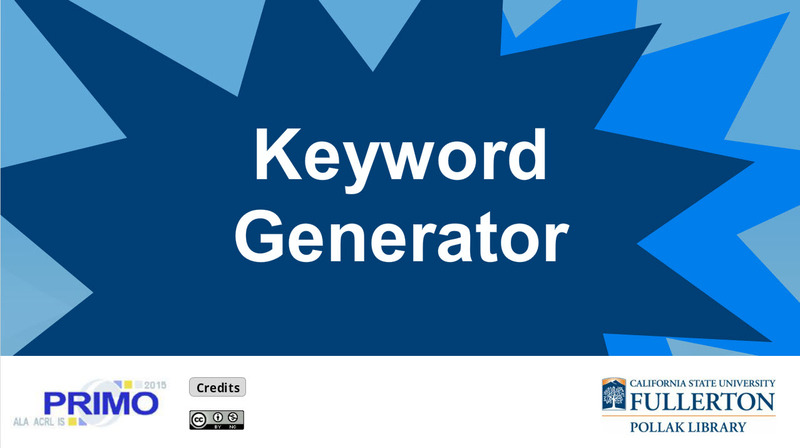 The Keyword Generator tutorial was accepted into the ALA/ACRL Instruction Section’s Peer-Reviewed Instructional Materials Online (PRIMO) project, and added to the PRIMO database. It was also added to MERLOT. Then download the template below.